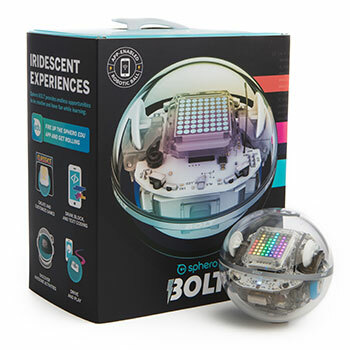 • Sphero BOLT was built to shine with a programmable 8x8 LED Matrix that animates and displays real-time data. 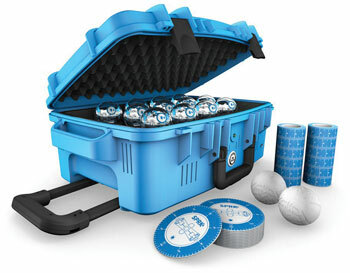 • BOLT to BOLT infrared communication allows for new games and advanced movements. • Auto aim your robot thanks to the built-in compass. 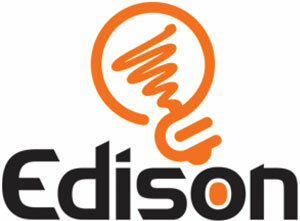 • An ambient light sensor allows you to program based on your room’s brightness. • A long battery life of 2 hours per charge can handle even your biggest projects. • It’s fun to take for a spin. Simply drive BOLT and play games. • BOLT is approachable yet advanced with more features, more power, and more fun. Drive Mini using different modes with the Sphero Play, or just by using your lovely mug. The Sphero SPRK+ is a robot ball designed to inspire curiosity, creativity and invention through connected play and coding. However, SPRK+ is far more than just a robot! Powered by the Sphero Edu app, you can use Sphero SPRK+ to easily teach programming, complete hands-on activities and share your students’ creations with the community. There’s no rule that says learning shouldn’t be fun, or that playing can’t be valuable. SPRK+ makes the skills of the future approachable. How Can I Use Sphero SPRK+ Edition in the Classroom? Connect SPRK+ to the Sphero Edu app to explore programming, complete activities and inspire your students through connected play and coding in the classroom! The Sphero Edu App is your hub to create, contribute and learn with the Sphero SPRK+ robot. Simple for beginners yet sophisticated enough for seasoned programmers, Sphero Edu empowers anyone to program their robot. 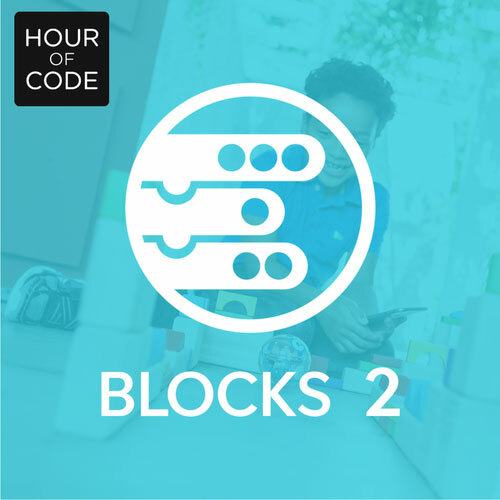 This visual block-based building app makes learning the basic principles of programming approachable and fun. Drag and drop actions, controls, operators, and more to learn how SPRK+ works. 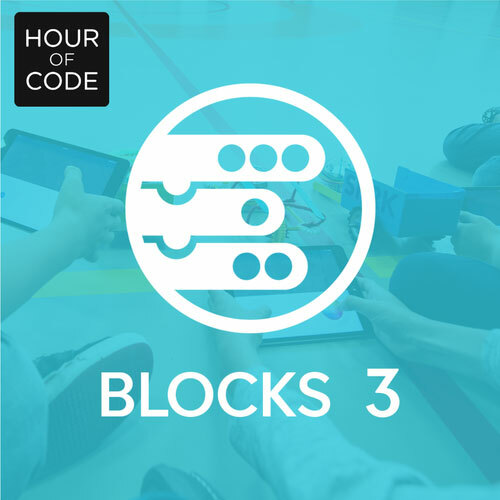 The written code students create can then be viewed right beside your block sequence for a more advanced understanding of the C-based language. 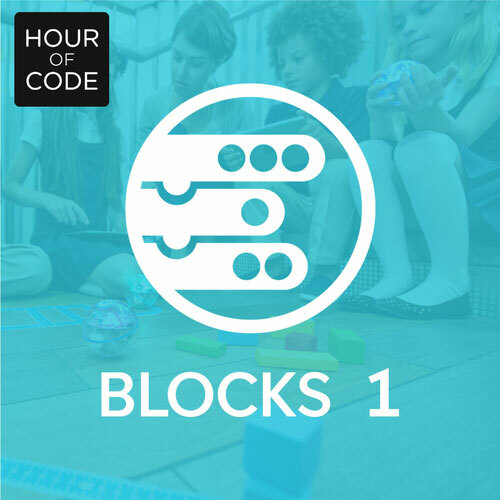 + Download the Sphero Edu app and program SPRK+ utilising block-based programming. 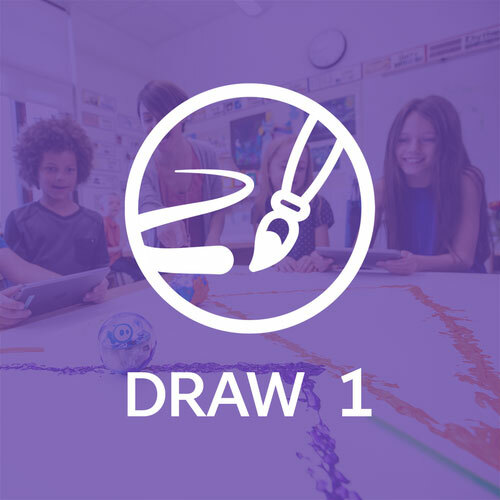 + Sphero Edu app caters for all student levels in the classroom; beginners can give commands by drawing a path for their robot to follow, intermediate coders can use the block-based drag-and-drop interface and advanced students can program by writing their own code. + Transform ideas into code by using visual blocks that represent Sphero's C-based language "Oval". + Save your work by creating an account and jump between the app and web platform. + Build something great and share it with the community by publishing your programs. + Program a painting. Navigate a maze. Mimic the solar system. Swim across the water. Have a dance party ... the only limit is your imagination. 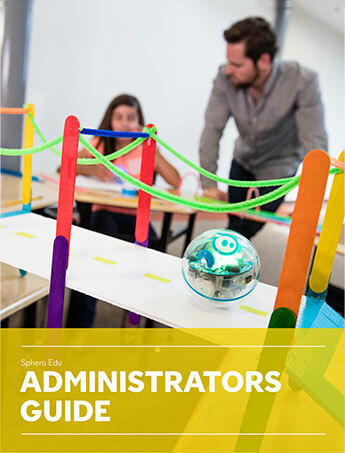 + Browse hundreds of activities made by Sphero and educators around the world. 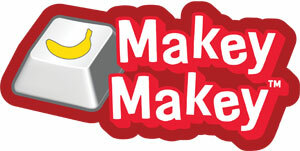 + Inspire and be inspired - create your own activities and share them with the community. 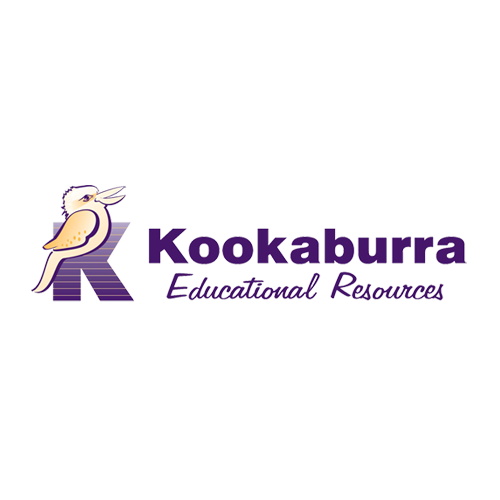 + Set up a classroom with student logins and assign activities, track progress in real-time, and review student work. + Create a private activity and administer it to your class without sharing it to the entire community. The number of classroom activities and learning opportunities offered by Sphero SPRK+ are endless and are limited only by your and the students' imagination! The new SPRK+ has a glossy finish with a stronger, scratch-resistant UV coating, the inside PCB board is now blue and the ball pairs slightly differently to the iOS / Android device. 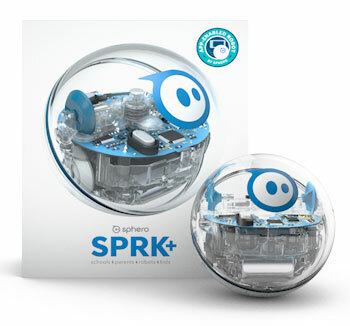 SPRK+ will foster a love of robotics, coding, and STEAM principles; all through play. Designed to inspire curiosity, creativity, and invention through connected play and coding, SPRK+ is far more than just a robot. 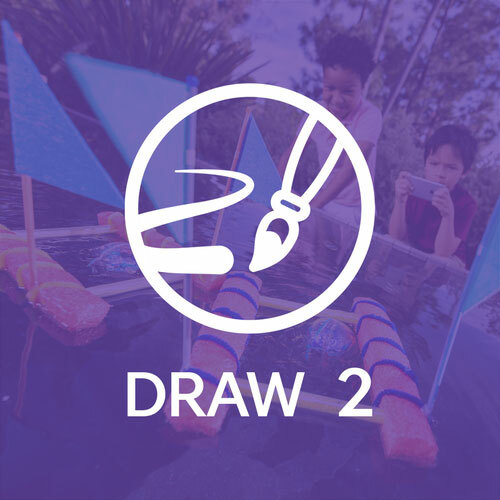 Powered by the Sphero Edu app, you can easily learn programming, complete hands-on activities, and share your creations with the community. New Bluetooth SMART gives near instant connection - ideal in a multi-robot environment such as the classroom. Equipped with a stronger scratch-resistant UV coating. Powered by the Sphero Edu app that allows collaboration with other users worldwide. Navigate a maze. Program a painting. Mimic the solar system. Swim across the water. Have a dance party… The only limit is your imagination. SPRK+ and Sphero Edu allow you to collaborate with other users around the globe to innovate the world of education and empower anyone to program. Equipped with Bluetooth SMART and a strong scratch-resistant UV coating, SPRK+ takes hands-on learning up a notch. This special pack of 12 SPRK+ is available exclusively to educators. The pack contains everything you need to get started teaching robotics and the fundamentals of programming. These SPRK+ robots are brand new and come with a full 1 year warranty. Plug in. Power up. Roll out. Get amped. The Sphero SPRK+ Education Power Pack is here. The best day of school just got better. The SPRK+ Education Power Pack lets you charge, store, and carry SPRK+ robots by the dozen. The SPRK+ Power Pack is the premium kit for educators to use Sphero in a classroom, robotics club, or in any maker environment you can dream up. Built with an integrated cooling system, your robots can charge safely all from one place. Included with the Power Pack are 12 shiny new SPRK+ Robots, Turbo Covers, Maze Tape and Protractors, classroom posters and stickers, so activities can get started anytime, anywhere. The SPRK+ Power Pack is the premium kit for educators to use Sphero in a classroom, robotics club, or in any maker environment you can dream up. Tote it all like a boss in a sleek airline compliant carrying case on rollers with a retractable handle. 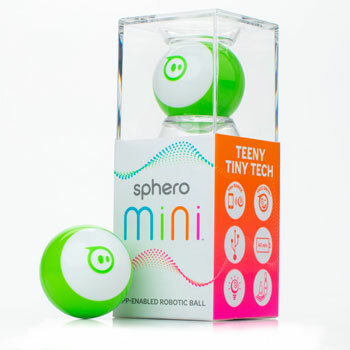 • Drive Mini using different modes with the Sphero Play – Joystick, Tilt, Slingshot, or Face Drive. • Face Drive - Face Drive is a hilarious new feature that uses your facial expressions to drive the ball. 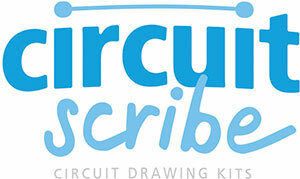 • Gaming - Sphero Mini can be used with the app as a video game controller. Play 3 games with more updates on the way. • Interchangeable Shells - Colorful, interchangeable shells allow you to switch one out to suit your mood. 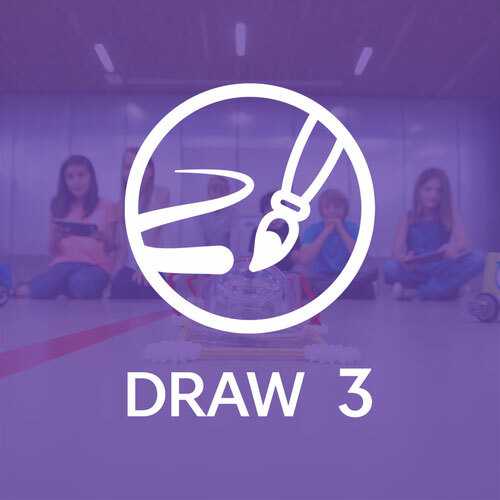 The Sphero EDU app is your hub to create, contribute and learn with Sphero Robots. 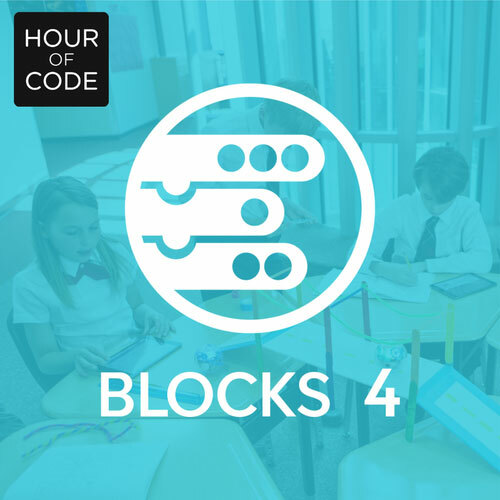 The visual block-based building interface makes learning the basic principles of programming approachable and fun. 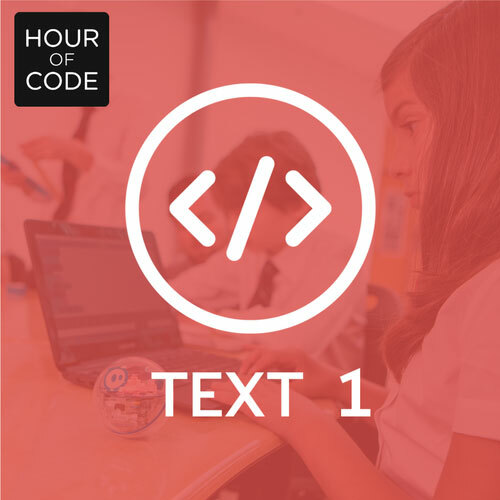 Browse through activities, keep track of a class, and collaborate with users around the world. When creativity strikes... Make. Code. Share. Sphero Edu provides a toolset that is unbounded in its potential. Through creative activities, students can learn to program their robots while nurturing their cognitive skills and independent exploration. All you need are the raw materials – Sphero robots, the Sphero Edu app, and your brain. We are thrilled that Sphero Edu App is now available for Windows 10 devices (Windows 10 version 16299.0 or higher). The Windows Sphero Edu App is compatible with the new Sphero BOLT as well as Sphero SPRK+, Sphero Mini, Ollie and more! See full system compatibility here. Drive and play games from ONE app with your Sphero Mini, SPRK+, and BOLT robots. Connect and drive your robots several different ways, or use your facial expressions with the Face Drive feature to drive Sphero Mini. Use your robot as a controller to play different games, and stay tuned for more updates. Start with the provided introductory modules to help students learn how the robot works. After they see the potential of the Sphero robot, let them loose to plan their own projects. Kids will be buzzing for paint, water, glue, and cardboard to build environments for their robot to navigate. Whether your budding programmers are working in a school library or a classroom, be prepared for some highly productive noise and mess.